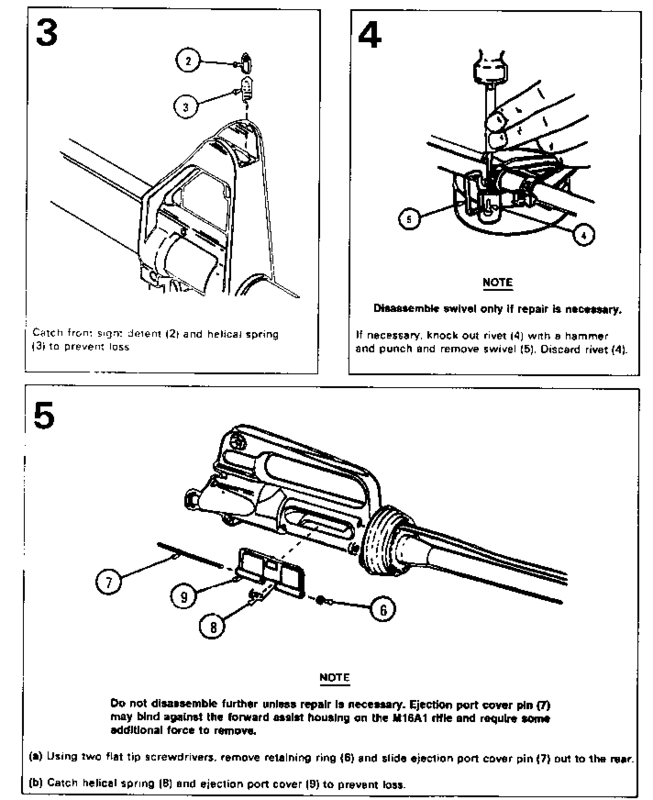 Do not attempt to hold the upper receiver (7) with a pry bar; however, if the barrel assembly (2) turns in the holding fixture, a pry bar may be used in the front sight assembly base (10) to help prevent the barrel from turning in the holding fixture. Use care not to distort or bend front sight or retaining pins. (b) Torque the barrel nut assembly again to 30 ft-lb while maintaining sight alignment. The barrel nut may be tightened beyond 30 ft-lb to align the barrel nut serrations for gas tube clearance. Never loosen the barrel nut assembly (8) to align for gas tube clearance.